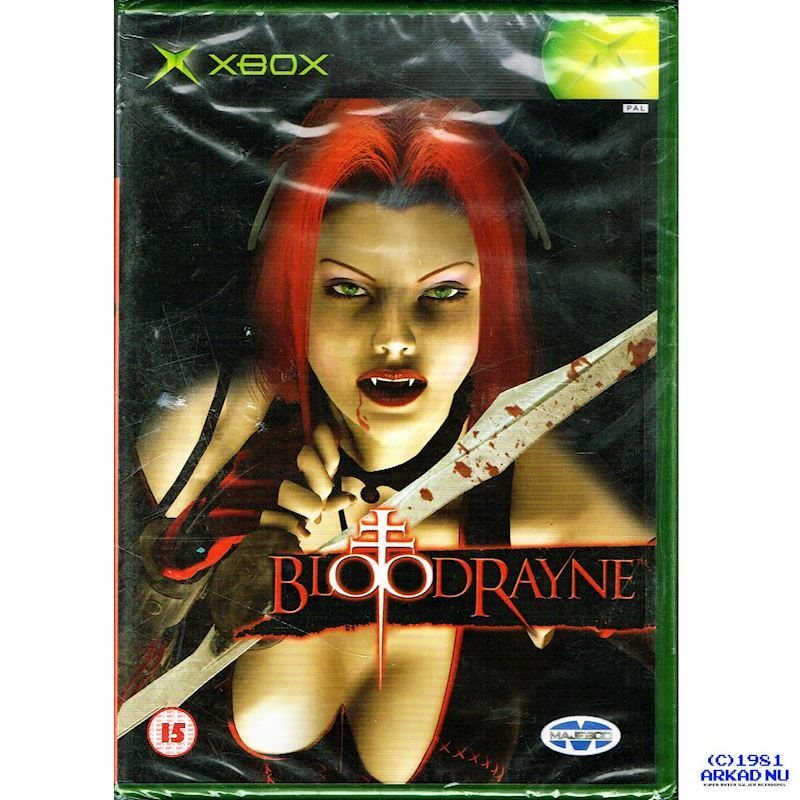 BloodRayne is an action hack and slash video game and the first game in the BloodRayne series. In addition to a sequel, BloodRayne 2, BloodRayne inspired a series of films and self-contained comic books. It was developed by Terminal Reality, and was strongly influenced by their previous game Nocturne. The game begins in 1933, in a place where it appears that the people believe in vampires, as all the doors and windows show crosses. It shows a man and woman running down a street. The woman trips, and the man pauses long enough to help her up, only to be dragged into a dark alleyway by a chain. His head is thrown from an alley at the woman's feet, with Rayne (voiced by Laura Bailey) walking calmly up to the woman. The woman seemingly breaks down crying, but in fact only hides her face to reveal she is in fact a vampire. After a brief fight, Rayne decapitates her and then takes off before a small army of vampires tries to catch her off guard. She drops a grenade on their position as she leaves. Mortton, Louisiana: the game starts in Mortton, Louisiana, as Rayne's first mission with the Brimstone Society, along with Mynce, her mentor. They are sent there to investigate an outbreak of an unidentified disease in the area. Argentina: after the events in Mortton, the story skips several years ahead. Rayne is sent to infiltrate a Nazi base in Argentina, prevent the G.G.G. from obtaining the mystic artifact known as "the skull of Beliar" and eliminate the organization's head members. Germany: Rayne finds an anonymous letter informing her that a G.G.G. officer in Germany has list of the remaining G.G.G. officers. After obtaining the list, she pursues her targets to Castle Gaustadt, to eradicate the G.G.G., and eventually, Jurgen Wulf himself.